Hi, my name’s Monkey. No, you can’t call me Johnny Lovebird. Only my mom can do that, and I suppose, my teacher, Mrs. Red. I’m in fourth grade and attend Rainbow Elementary. But none of us members of the Smartboys Club call it that. We call it Chrom-El. That’s short for Chromatic Elementary. Chromatic is a fun word for color. So, this one day I got to school late, but surprise-surprise, Mrs. Red wasn’t there to write my name up on the board for being tardy. I slipped into my seat between Sandra and Art. I used to sit between Bean and Art, but then Sandra came along. Mrs. Red put Sandra’s desk between us. Maybe Mrs. Red hoped Sandra would be a good influence on the rest of us Smartboys in the back of the room. Too bad for Mrs. Red, it turned out Sandra is a musical genius, and we made her a member of our club. 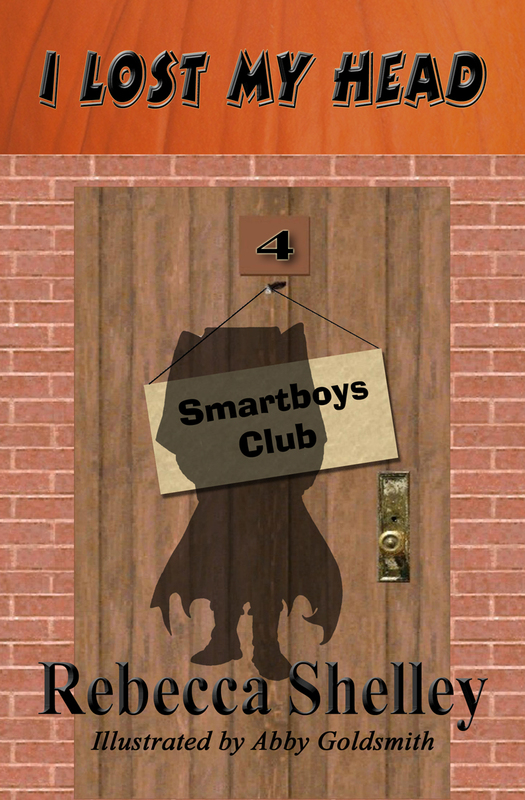 The Smartboys Club is a club for geniuses. We have all kinds of geniuses. Art is a genius at sports and art. Bean is a genius at math and science. I’m good at math too, but even better at English and literature. We’re the Smartboys, and it turns out we have two Smartgirls in the club as well. Sandra, I already told you about. And Vinny, she’s a genius at math and computers. We use our brainy brains to solve problems and keep the school running like it should. Though Mrs. Red and Principal Green don’t always appreciate our efforts. Things had been going pretty smoothly since we rescued Sandra from the janitor closet at Symphony Hall. But I had a funny feeling when I walked in that morning and Mrs. Red wasn’t there, that something strange was about to happen. On the right side of the room, Mrs. Red’s favorite students sat quietly at their desks. Vinny sits on the right with them. On the left side of the room, the average students chatted, laughed, and threw paper airplanes. In the back, Art got out a pencil and started drawing Mt. Rushmore on his desk. Sandra scribbled music notes all over a scrap of paper. Bean slid out of his desk, crawled to the pencil sharpener, sharpened his pencil and crawled back. He shot me a victorious smile. Just then Mr. Brown, the janitor, came in with a tall, skinny man. This guy looked like a walking scarecrow, with his long arms sticking way out of his sleeves and a sharp nose like a parrot beak. He wore tight black boots that reached clear to his knees. “Listen up,” Mr. Brown said, snatching a paper airplane out of the air. “This is Mr. Black. He will be your substitute for a while. Mrs. Red’s husband is in the hospital, and she needs to stay with him. I expect you all to show Mr. Black how good students are at Rainbow Elementary.” He shot me a meaningful look. I shook my head as Mr. Brown left and Mr. Black pulled a hickory switch from his boot and slapped the thin stick across the palm of his hand. His lips curled into a grim smile. Art’s eyes clouded over like he didn’t have a clue what I was talking about. I didn’t get a chance to explain until recess, because Mr. Black kept us busy with a study of the history of New England. In honor, he said, of the upcoming Halloween celebration. Mr. Black didn’t hit anyone with his stick, but he did slap it across Sandra’s desk three separate times, trying to get her to pay attention. Believe me, the whap of that hickory switch across the desk could have wakened the dead. When we went out to morning recess, frost still crisped the grass in the field. I hauled my backpack out with me, and Bean brought his portable weather station. Art had a basketball tucked under his arm. Vinny started texting her dad. Sandra didn’t bring anything out with her. Her eyes just glazed over and her fingers started twitching. She can make music in her head even without an instrument. Bean recorded the temperature in his weather tracking notebook. Bean stared up at the bright blue sky for a moment and shook his head. A strong wind whipped the little cups on his anemometer into a fast spin. Bean added the wind speed and barometric pressure to his notebook. “Hey Art, check this out,” I said. My hands shook with excitement as I pulled a thin electronic device out of my backpack. I turned the device on and went to my bookshelf. “You guys have got to take a look at this.” That very morning before school I had purchased and downloaded “The Legend of Sleepy Hollow” by Washington Irving. A good Halloweenish story if there ever was one. 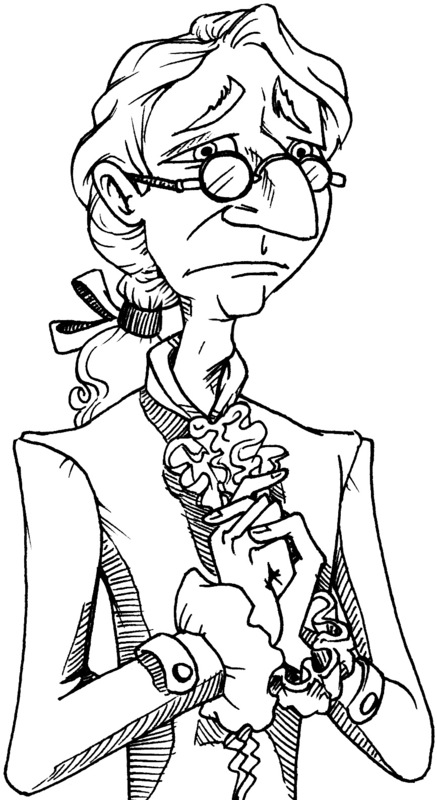 I opened the book up to an illustration of the school teacher who was the main character in the story, Ichabod Crane. “Of course not,” I said. “I just thought they looked alike. That’s all.” I settled down to read, and Art wandered off to play basketball.